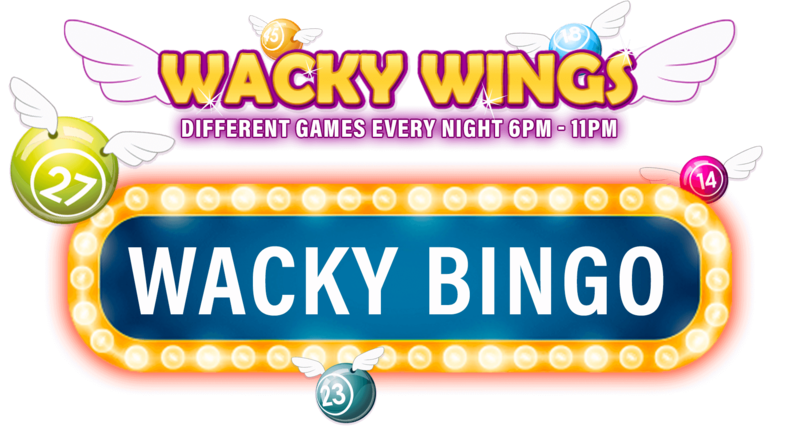 Wacky Bingo runs from 6pm - 11pm every Saturday night in Wacky Wings. With mixed wacky fixed prize pots up to £60 the value is crazy. So get involved to make your Saturday a little more wacky!